I can’t explain why, but I’ve been on a quest to make some awesome fried food for the last few weeks. So get ready, because I still have a few more tricks up my sleeve… we aren’t done yet! 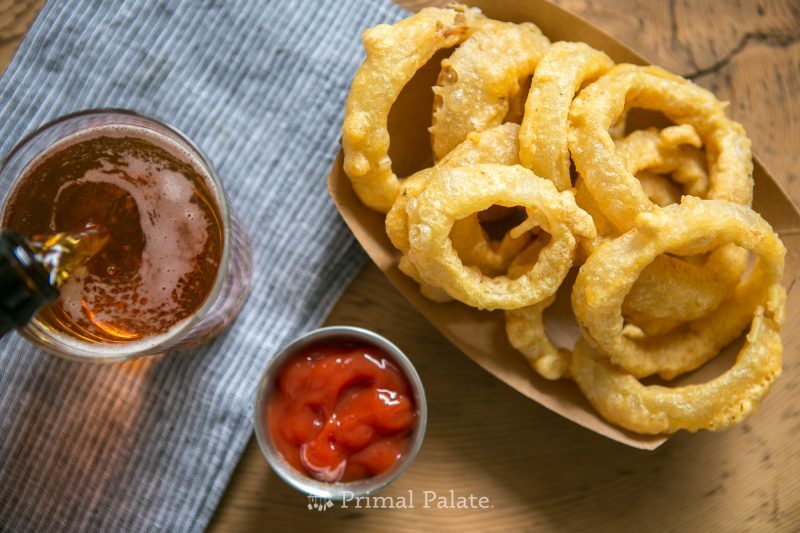 Today I wanted to share a recipe for Paleo-friendly Onion Rings. I’ve always loved onion rings, and wanted to make a grain-free version to satisfy my cravings. 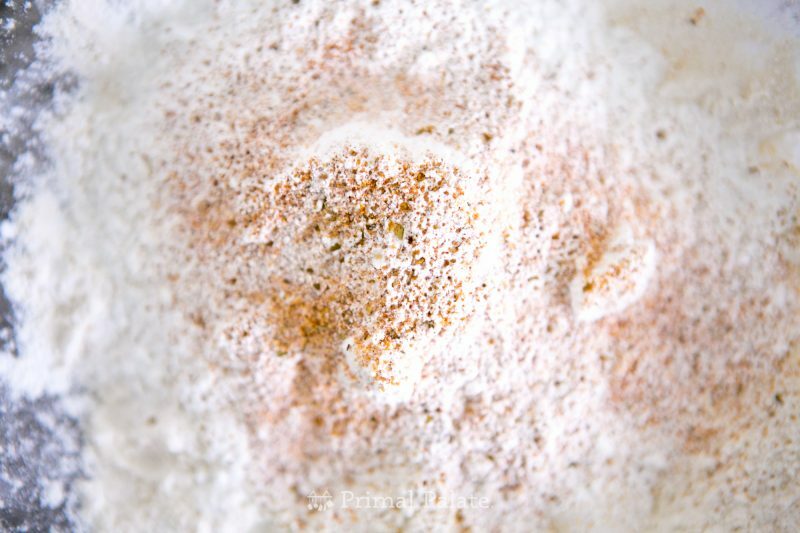 Unlike the Funnel Cakes which I posted earlier this week, this recipe actually does work with our typical tempura-type batter (sparkling water, arrowroot, an egg, and cassava). I thought the funnel cakes would work that way, but they definitely did NOT. 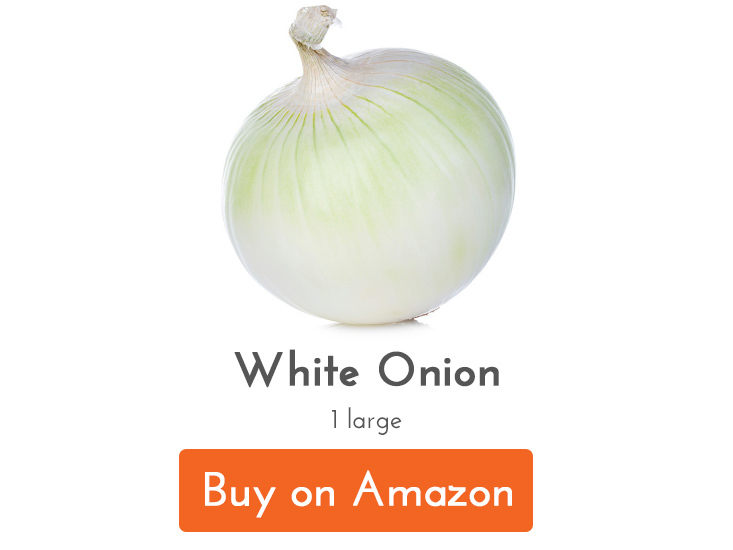 Start off by peeling your large onions and cutting them into 1/2″ slices. For best results, reserve the smaller inner rings for some other cooking use. Toss them with 1/2 cup of cassava and let them rest for 20-30 minutes. This will soak up some of the moisture and help them to fry better. Once they’ve rested about 20 minutes, remove the onion rings and set aside in a bowl. 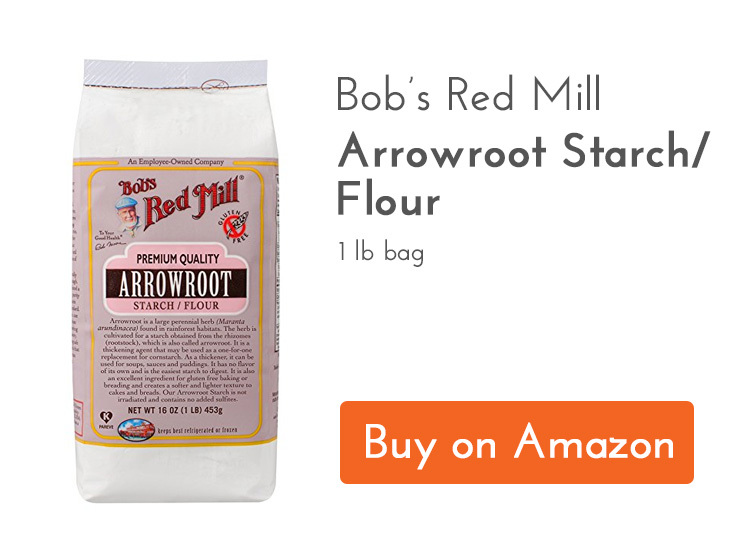 Add the remaining dry ingredients: another 1/2 cup of cassava, 1/2 cup of arrowroot, and 2 tsp of our Barbecue Rub. 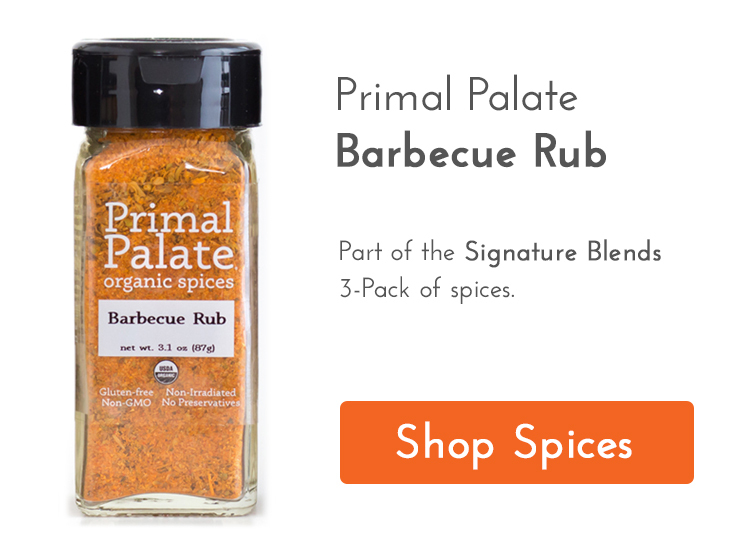 The Barbecue Rub will make the batter super flavorful. 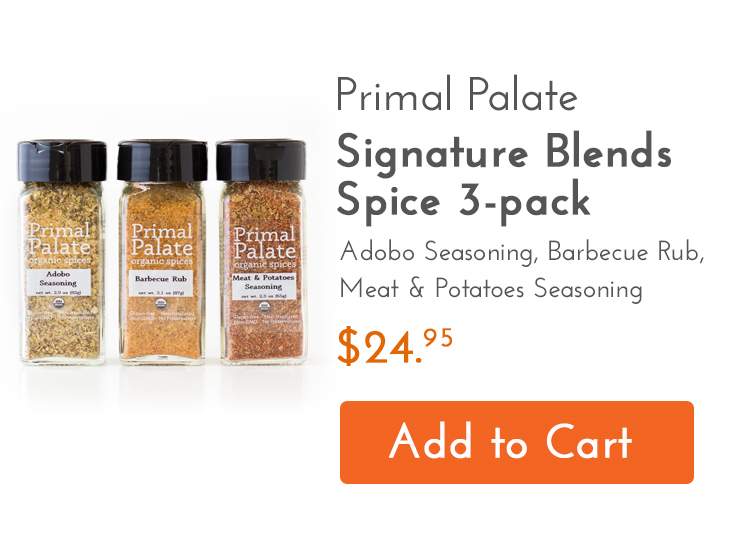 It’s part of our Signature Blends pack, along with Adobo Seasoning and Meat & Potatoes Seasoning. 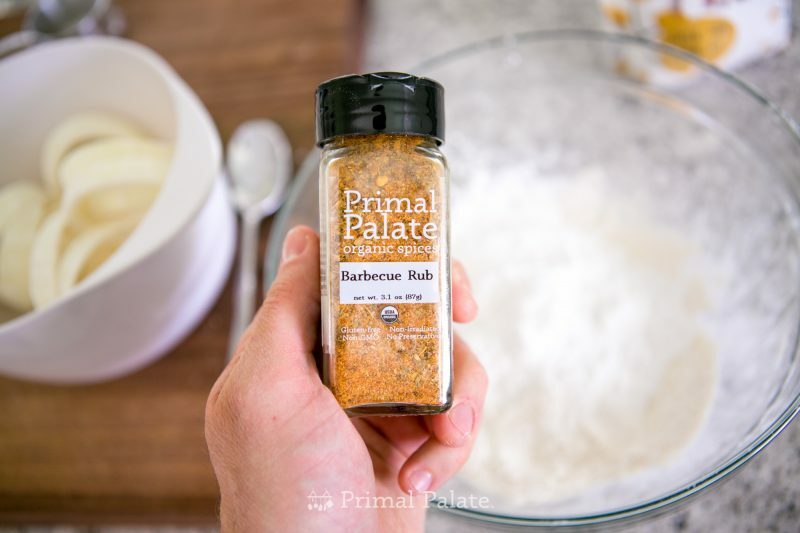 The Paleo world has been buzzing about our Organic, non-GMO spices… click the link below to order, and see what everyone is talking about! You can certainly do more than 2 tsp of the Barbecue Blend in your batter, but this is a good starting point. 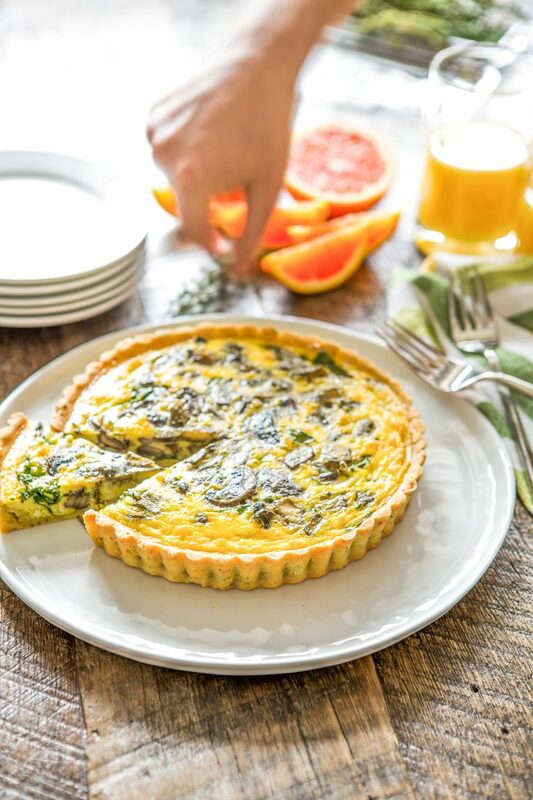 Mix the wet ingredients (an egg, 1 cup of sparkling water, and 1/4 cup of filtered water) into the dry ingredients. You’re shooting for batter that’s slightly thicker than pancake batter. It should stick to the onion rings, but not be too thick or too runny. 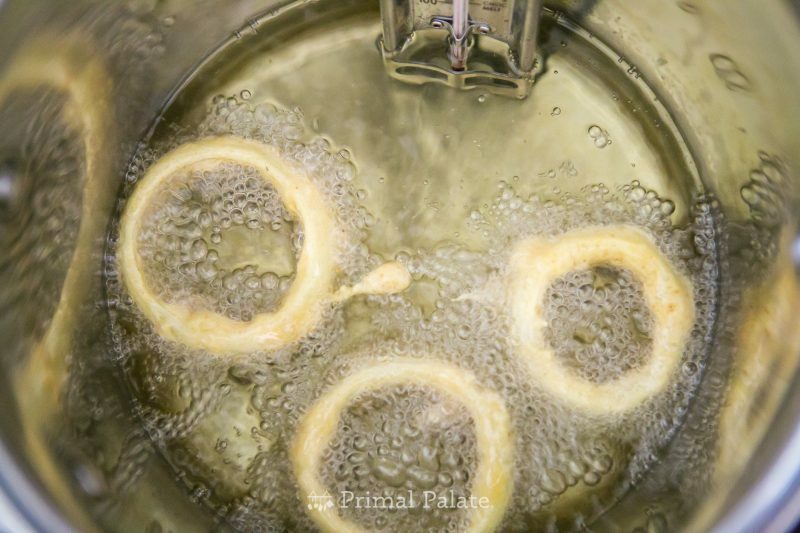 Heat frying oil (like coconut oil) to 350F in a medium pot. Fry the onion rings for 3 minutes (flip halfway through), then drain on a wire rack. Serve hot! Since we made these yesterday afternoon (on a Friday), I insisted styling the photo with some ice-cold Omission gluten-free beer. And then proceeded to eat the entire batch alongside the pint. It was a glorious happy hour, indeed! 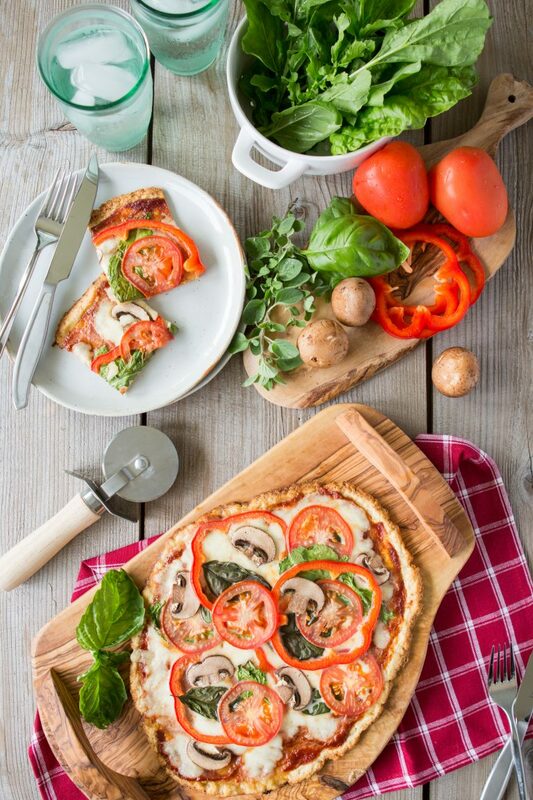 Let us know if you try the recipe! Happy eating! 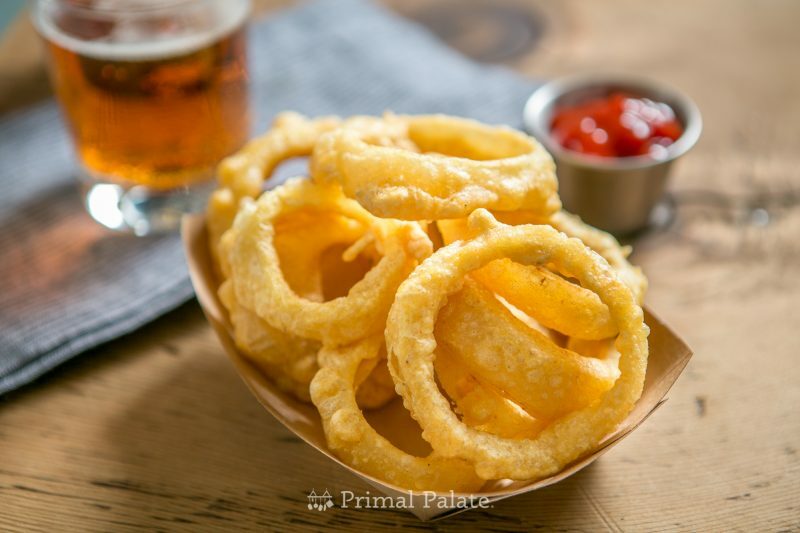 These onion rings are true to the ones you might find in a pub or restaurant: light, flavorful batter with a crispy, slightly flaky outside texture. They are the real thing! Peel the onions, and slice into 1/2" thick slices. Separate into rings, reserving the smaller ones for a different use if you'd like. 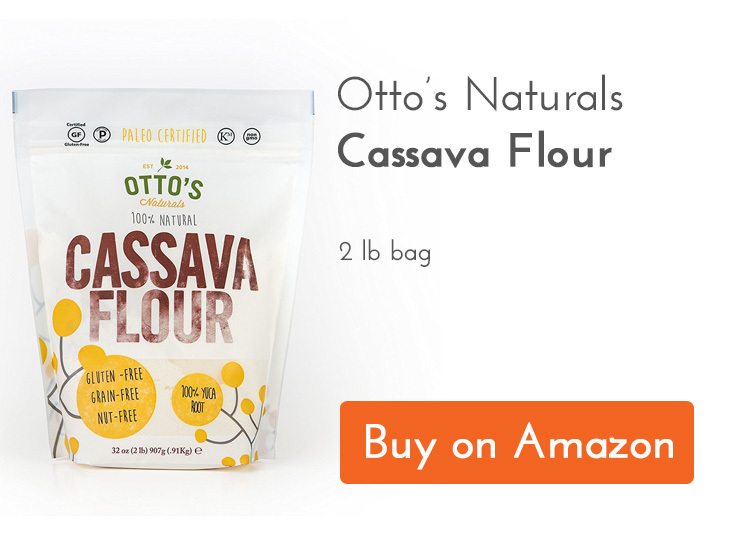 Place 1/2 cup of cassava flour in a large bowl. 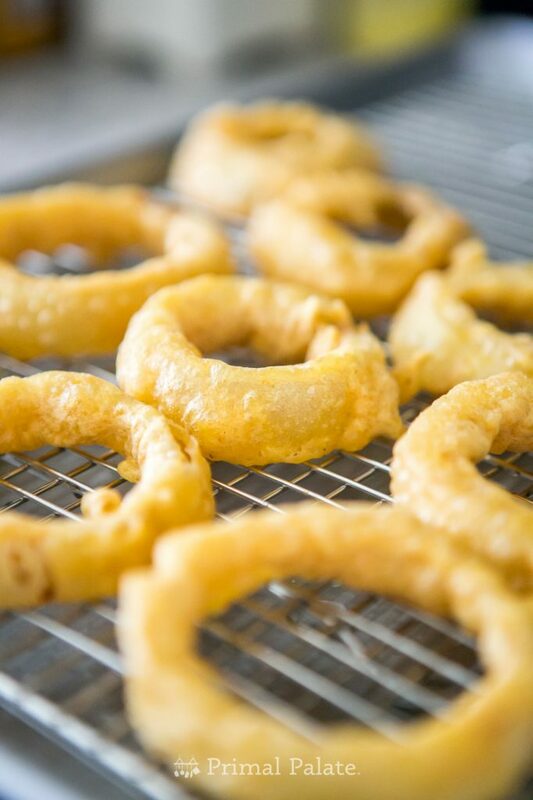 Toss with the onion rings to evenly coat, and set aside for 20 minutes. 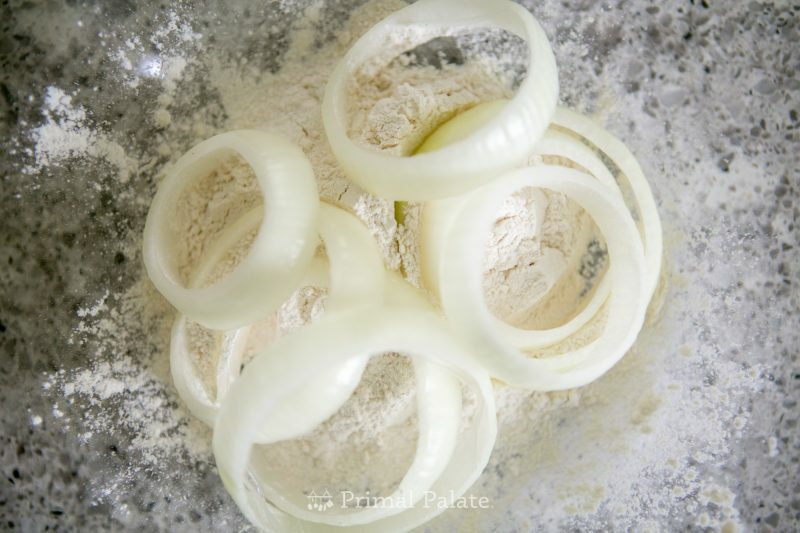 After the onion rings have rested, remove them from the bowl, and add another 1/2 cup of cassava flour, 1/2 cup of arrowroot flour, and 2 tsp of Primal Palate Barbecue Rub. In a liquid measuring cup, beat 1 egg, then add to it 1 cup of sparkling water. Gradually stir the wet ingredients into the dry mixture. 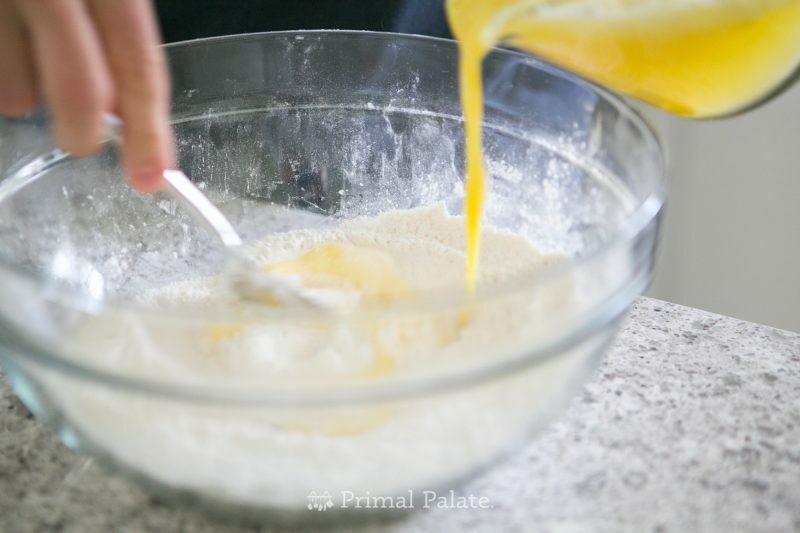 Once mixed, add 1/4 cup of filtered water, more or less, to thin the batter out. You want the batter to be slightly thicker than pancake batter. Test it by dipping in an onion ring. The batter should stick to the onion ring and not run off immediately. 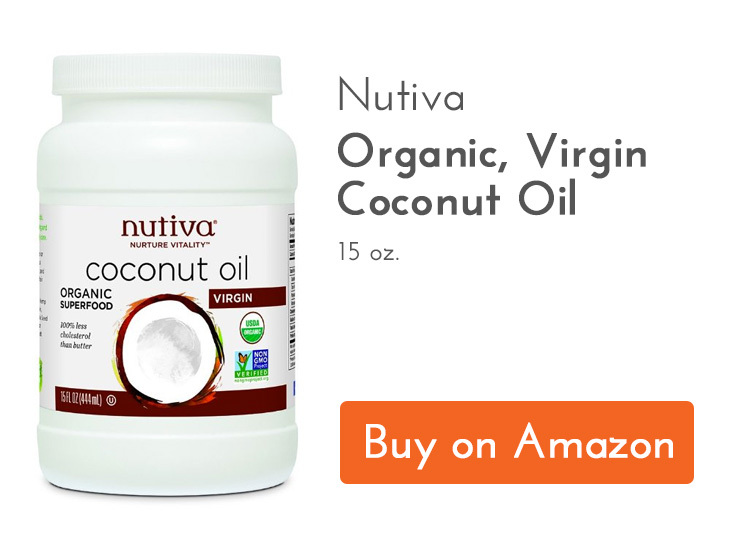 Heat 2-3 cups of coconut oil in a medium sized pot for frying (you want at least 1.5" depth. You can use any type of oil you'd like to fry. Heat the oil to 350 degrees Fahrenheit, measured with a candy thermometer. 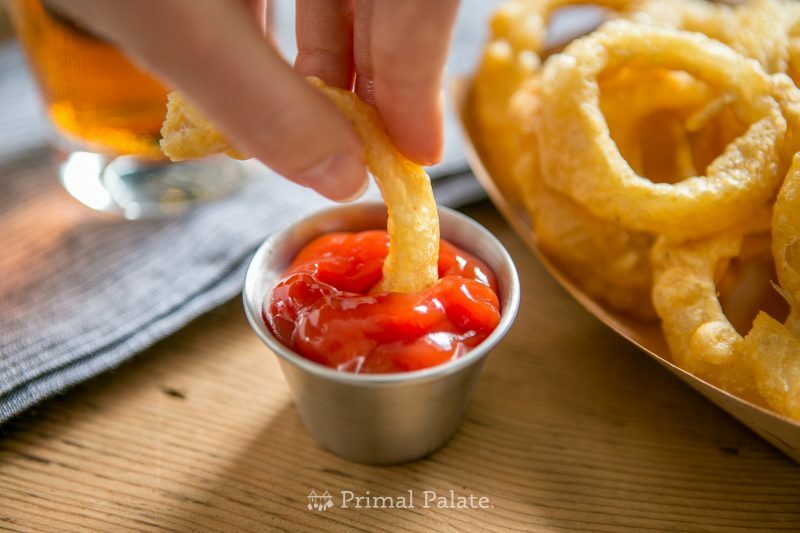 Test everything with a single onion ring: carefully and slowly submerge the onion ring in the hot oil (doing this slowly prevents it from sticking to the bottom of your pot). Fry for 3 minutes, flipping halfway through. Transfer to a wire rack to dry. If it turns out well, continue with the rest of the batch, frying a few at a time. 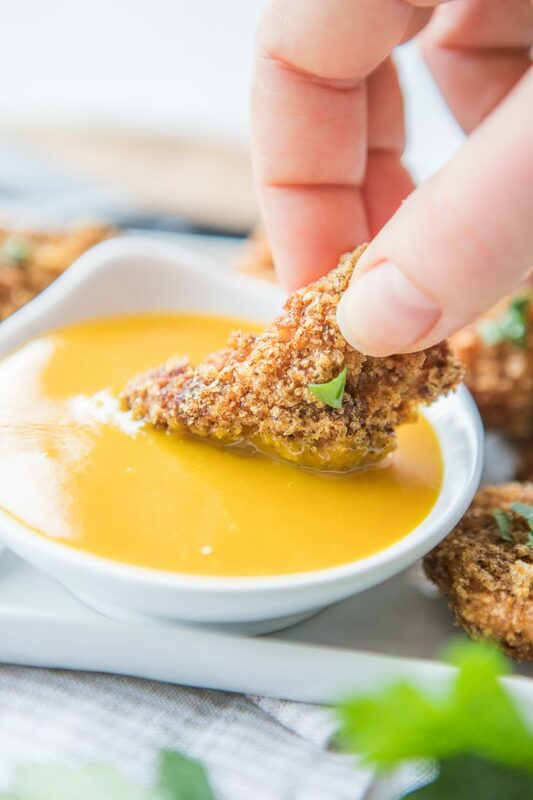 Serve hot alongside your favorite dipping sauces. You can keep them warm in a 250 degree oven, if you are cooking a larger batch.